Classic Shell • View topic - Glass effect in "all programs" menu w/ the Win7 start menu ? Post subject: Glass effect in "all programs" menu w/ the Win7 start menu ? 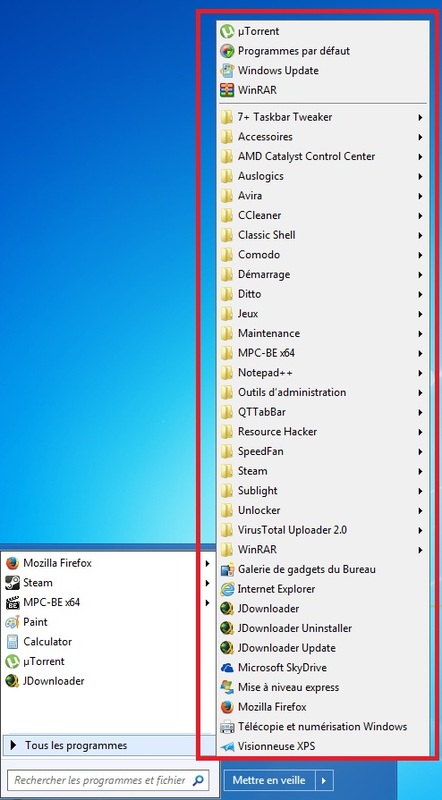 I would like to use the glass effect on the "All programs" menu while using the Windows 7 style Start Menu. It seems it is only possible when using the Classic style Start Menu it and despite my best efforts - I have carefully read the tutorial and I have spent hours fiddling with available skin files with ResHack - I have not been able to do as I wanted. Could anybody help me please ? Is it even possible to do what I am trying to do ? It is definitely possible as long as you are using the cascading menu in Windows 7 style (the background must be white for the inline treeview but cascading menu can definitely have glass). To add glass to the submenus, make sure you add Submenu_opacity=fullglass, the correct bitmap with transparent and the mask bitmap if required, and all the slices are correct. You could copy-paste some parameters from some skin for the classic style that already has glass for submenus and then modify them to suit your skin.